Sometimes, it can be hard for car people to explain the technicalities of their lives without others getting bored and lost in jargon in about, well, 30 seconds. But this film doesn’t even begin to explain what differential is in the first 30 seconds, because it’s too busy showing a few insane two-wheel formations. Those formations took “hours of intensive training and careful judgement,” and it’s pretty easy to believe that statement after watching the film. The video itself is a Jam Handy film made for Chevrolet and entitled Around the Corner, and it originally came around in the year 1937. That’s right—1937. 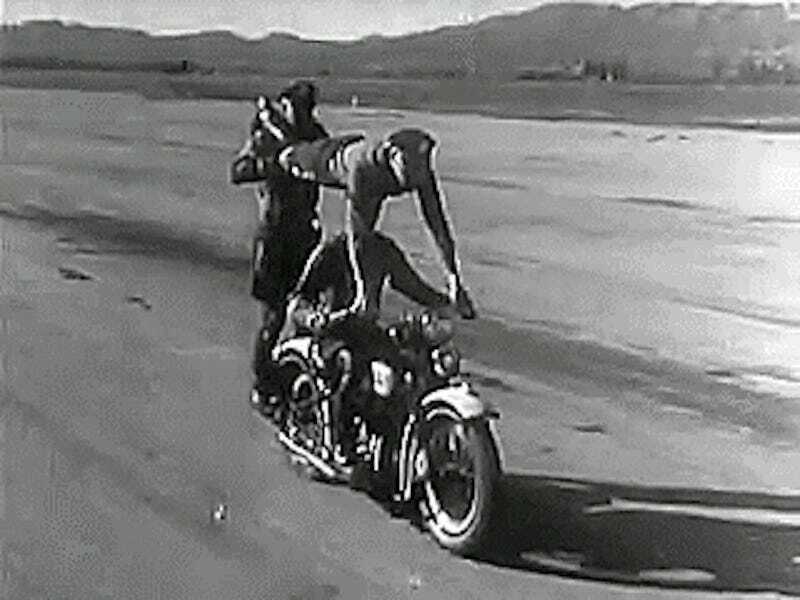 Using motorcycle formations to demonstrate different wheel speeds, the film shows how riders on the outside of a group that’s making a synchronized turn must ride faster than ones on the inside. The film then transitions into how that affects speeds when a four-wheeled vehicle takes a corner, and how automakers needed something to keep one wheel from skidding to keep up with another. In order to put the one-wheel drive out of date, the film explains how it was necessary to have a method by which to allow the wheels to move at different speeds while powered by the same axle. The differential explanation that follows is as artistic as it is simple, and could teach a complicated concept to even the most uninformed of people. Enjoy the explanation of something you already know plenty about. It’s a fun film, and its creativity is still impressive today—nearly 80 years later.